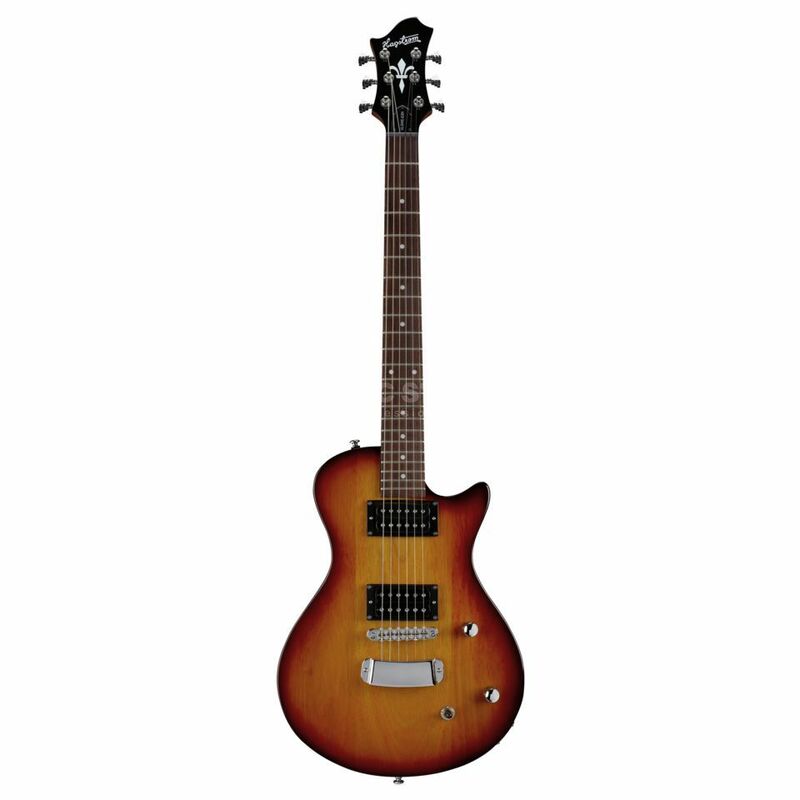 The Hagstrom Ultra Swede ESN Electric Guitar Tobacco Sunburst is a 6-string model featuring a mahogany body, a maple neck, a rosewood fretboard and a tobacco sunburst finish. The Ultra Swede ESN is equipped with Hagstrom’s exclusive H-Expander truss rod, which delivers a high degree of neck stability. The Sustain-Block Tailpiece uses six huge brass blocks to individually hold each string directly to the body. These features help generate a clear, bell-like sustain. Featuring a matched pair of Hagstrom-designed Custom 62 open-coil humbucking pickups, the Ultra Swede ESN delivers a tight, controlled modern tone suitable for a wide range of musical styles. A solid carved mahogany body is bolted to a maple neck featuring Hagstrom’s UltraSlim-D profile.